Wouldn't you have thought that 4 years of quilting amounted to more than that? Well apparently not. I saved almost all empty spools for 4 years and when unpacked a few more boxes the other day I was dithering whether I should chuck them in the bin or not. In the end I decided to keep them a little longer.. The thread, the quilts, the love that goes into them and with them! Great job Judith! What a good idea to save those spools! I need to add a little variety to my thread selections though as my bowl would primarily be filled with orange empty ones! Don't throw them out in the bin! I donate mine to my sons preschool and they use them on the "making table" , or for threading on to wool etc. The kids love it. 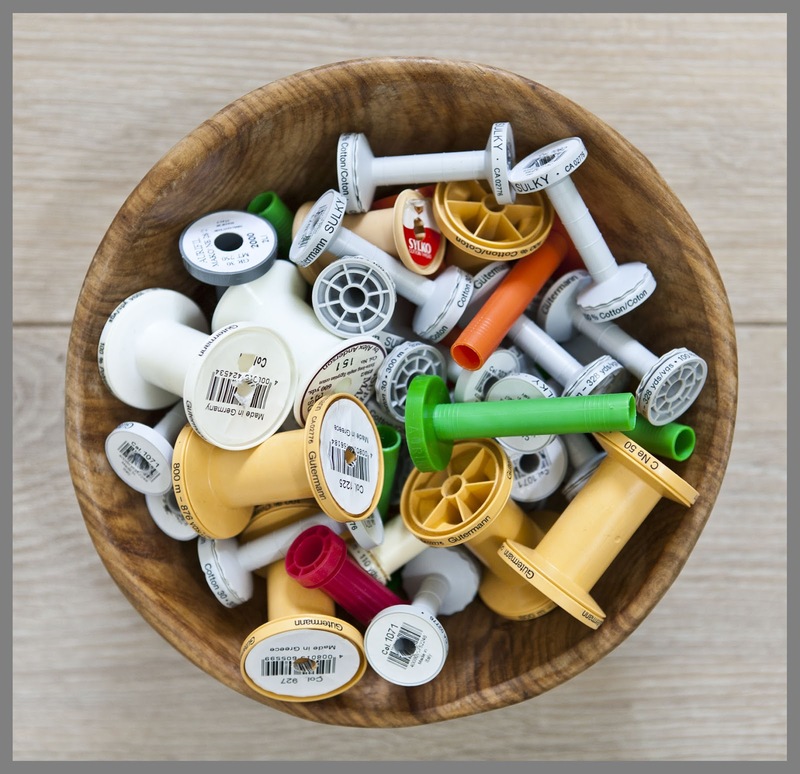 I've never thought to keep my spools. Too much stuff in my sewing room!